…and I always wanted to see an Australian themed land. DAK already has kangaroos around the tree of life, and they could have a really great Soarin’-like ride based on the very much under-rated, under-appreciated, and almost forgotten film The Rescuers Down Under, which also has an environmental (anti-poaching) message. 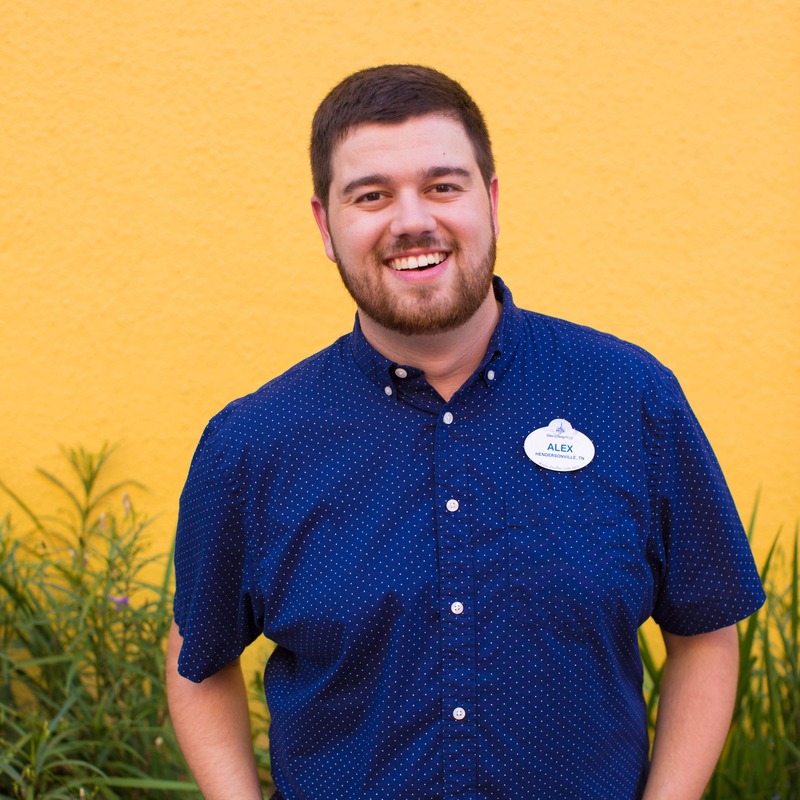 I love WDW, and DAK is my favorite park because of the feeling of being in exotic places, the animals, the plants, and the environmental message. I was not a huge fan of Avatar, so I am not a huge fan of this idea. Like Harry Potter at US, I think the hype of these franchises will wane, and WDW and US will be left with these very expensive lands that will be not be relevant in 10-20 years. It’s not just that this isn’t Disney, but I wouldn’t even say it’s an established enough franchise to devote a whole land to. Asia, Africa, and dinosaurs have been around long enough to be made into themed lands. In Disneyland (which MK was modeled after), Walt Disney used the company’s own intellectual properties and concepts to create the different lands. It would be different if it was just a ride, like Start Wars in DHS, but to take an entire section, which admittedly would be nothing without The Festival of the Lion King, to create a non-Disney themed land? I think it will ruin the brand that is Disney. I hope that Disney will reconsider its stand, and relegate Avatar to one ride, and go forward with something that fits into the park better. This is like if they took out Dinosaur! and replaced it with a Jurassic Park themed ride. I would expect to hear this news from Universal Studios, not Disney, as they really have no cohesiveness to their parks. Why would Disney dedicate an entire Land to a single movie franchise? And moreover why would they dedicate so much to a non-Disney property/franchise? A single ride like StarTours and Indiana Jones is one thing, but an entire Land? Why not go to their own film library? There are numerous films that are woefully under-represented: Pinocchio, Bambi, 20,000 Leagues Under the Sea, Old Yeller, The Shaggy Dog, 101 Dalmatians, Jungle Book, Aristocats, Bedknobs and Broomsticks, Robin Hood, Pete’s Dragon, any of the Love Bug movies, Black Cauldron, Great Mouse Detective, Who Framed Roger Rabbit, Atlantis: Lost Empire, Treasure Planet, Brother Bear, Home on the Range, Tron and so on…..I really can’t imagine what possessed them to pick “Avatar.” Yes, it was a huge hit (and I did enjoy the movie). There are just so many non-Princess options they could have gone with instead. This really needs to be at Hollywood Studios, not Animal Kingdom. It’s going to be an out-of-place eyesore at DAK. Disney has already has done that. Like with Star Tours (Star Wars) and the Indiana Jones ride. Both are extremely popular. There is nothing necessarily wrong with partnering with outside sources. As long as its not done excessively. While I am torn about this decision…Great movie, not sure it warrants a new land at AK. Disney needs to stay Disney…it’s an American Institution that does not need to borrow from other sources for creativity, I agree that remaining with Disney’s own body of work would be a more cohesive fit. I am sure we’ll be “dazzled”, but Disney has to stay DISNEY! We love the Mouse! Not necessarily. We have no idea what the Imagineers have up their sleeves for their Avatar plans. It could prove to be extremely popular. And incidentally, here on the other side of the country, the Disneyland Resort is doing very well, the expansion of Disney California Adventure has been wonderful. Both Buena Vista Street and Cars Land will be incredible, and well worth the wait! When my husband watched the movie for the first time I remember him saying this would be an amazing attraction at a theme park. So excited that Disney picked up on this one!!!! Stars Wars and Harry Potter are cultural touchstones… for good or bad, they will last for generations, and their popularity extends (and is extended) in other media: books, merchandizing, etc. Avatar? How many Avatar toys do you see lining store shelves? Avatar t-shirts? People quoting lines from Avatar? Disney might as well announce a Twilight-Land to replace Epcot. Universal FTW. Disney is running scared. Bryonna: I absolutly LOVE Avatar. I’ve seen it 36 (and still going) times, and now theres another reason why I wanna live in Disney World! WOOHOO! My brother, Quentin and I think that this is a wonderful idea and we look forward to seeing Pandora come to life! WOW!! I don’t even care it they don’t put a single thrill ride in the area – just to be able to step into and experience the world of Pandora as Jake did, would be absolutely mind-blowing! If done in the right way, this could be one of the most awesome projects ever! I can’t wait to see what the great minds of James Cameron & Joe Rohde come up with – wow is a complete understatement. I can imagine walking into the brilliant & color-rich world of the Na’vi just as Jake did – learning about the animals, the planet, and how everything ties together through deep spiritual connections. Would be cool to have something self-guided like walking the Pangani Forest Exploration Trail… something to dream about, but needless to say, I’m thrilled, and cannot wait!!! This is a HUGE thing for Disney. Both my husband and I are Disney fanatics. Both having gone there from NEw York every summer since we were children. Now we take our daughter. I am an Avatar fan and he is not particularly. We both think this is an exciting idea that no creative team could have conquered better than Disney. The Park evidently, is The AK, Because Avatar is on The Jungle….just have a flight inside The each one Avatar….I can’t wait…those guys will make magic again…. As much as I don’t want to, I have to agree with the many people who don’t exactly agree with this move. Avatar was a box office smash and I did enjoy the movie itself but it has NO dynamic characters that are widely recognizable. Despite the success of the first film, I do not see the same type of success for the future of the franchise. I agree that tapping further into the Disney Library or even the mythical creature realm is a much more prudent idea. On a closing note Avatar will never be to pop culture universe what Star Wars or Harry Potter is- for those of you who have made those comparisons. Good Luck with whatever decision you make Disney. It seems clear to me that Disney wants to focus on the environments and creatures of Pandora, to allow people to walk into, and experience the world. Similar to what Cars Land will be. So in my opinion, that sounds pretty cool, and I’m looking forward to hearing more updates when they become available. Very disappointed- I think Disney could find something better than Avatar to draw more business and interest to Animal Kingdom. Avatar does not even fit in with the overall feel of Disney World. When people think of Disney, Avatar is the last thing a person would envision. Avatar certainly does not seem very appealing at all visually to children. Sorry….I think this is a poor choice for Dinsey. I loved Avatar, but it was an adult movie. I think Disney can do a great job with an Avatar-themed attraction or land, but I just don’t think it fits well with the Disney themes. Plus I don’t think Avatar is something that will stand the test of time. I honestly cannot believe the hate this is getting. Why are you people so against something wonderful happening to the least appreciated park? And why, might I ask, would these characters not be welcome in Animal Kingdom. The Na’vi are closer to animals than you realize. There is potential here and I see several people that are so closed-minded and stuck in their ways that they refuse to embrace it. Disney has done nothing but bring joy and love into MY life, and I can’t wait for them to expand. They’re bringing in an impressive, hugely profitable, magical world with open arms. Avatar did extremely well, and there is not a thing any of you can say against Disney trying to give the people more of what they want. That’s a bit selfish. 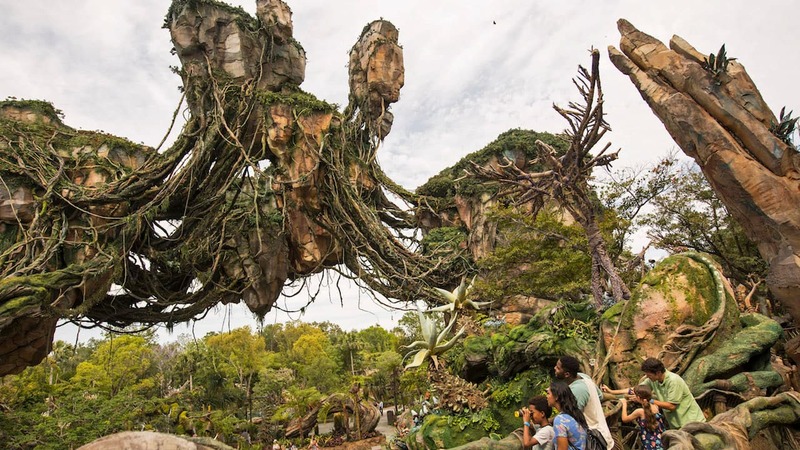 How awful will you all feel when you walk into Animal Kingdom and experience an out-of-this-world atmosphere that brings all the beauty and creativity of Pandora to us? Good grief. Kudos to every single one of you that can see at least one or two positive things about this. Give it a chance before you start saying you’re so disappointed that you won’t visit anymore. Disney works harder than any company I can think of and the lack of gratitude is astounding. I’ve grown up with Disney. No, Avatar isn’t a Disney classic, but again, they’re providing what they know people like. Try to be thankful for that before you shut this down. Thank you, Disney, for adding Avatar’s world to ours! I’m sorry for those who are excited but I just don’t see this “fit” into Animal Kingdom or Disney. I’ll say this now since I’m such a hypocrite I will most likely visit this place but never have the satisfaction. Good luck with Avatar and make it nice! Basically, this news is still in the Blue Sky stage. I’m sure that Disney appreciates both the positive and the negative (constructive criticism) feedback. I don’t like the idea of having an Avatar theme park. I’ve seen the movie and it was a good movie; but I’d rather see Disney expand on their own movies. They have always been the best at creating magic in their parks. I’m sure that they could come up with something better than Avatar. I’m excited. I don’t go to Orlando often as Disneyland is our home park. But this would get me out there again to see it. I don’t understand people saying that Avatar is so NOT Disney. I’m sure people thought the same thing about Raiders of the Lost Ark and Star Wars also, but most seem to be ok with them being “Disney” and in the parks. If I may add to my previous comment. Those who use Star Wars & Indiana Jones as examples of a successful collab may not realize that though may they not be Disney, they are in a MOVIE themed park, DHS. Other than the irrelevance that AVATAR has to DAK in the sense of all the other possible Disney movies they could have used, I feel another issue is that many like me feel that if they must add this ‘land’ that it would be better placed in DHS. However I still feel that if Disney must expand, they should mimic the Fantasy land expansion where they stay true to themselves & their stories that everyone loves. I personally feel that if an Avatar themed area was to happen, it should replace the Honey I Shrunk the Kids Movie Set Adventure in Disney’s Hollywood Studios. If it were to replace it, then it would still fit in the theme of movies and be able to provide a vast and wondrous landscape for park guests to explore. I feel that if you devote an entire land based on Avatar to Disney’s Animal Kingdom, you will take away the flow of what Animal Kingdom is about. Everything that Animal Kingdom represents is about real nature, be it in the past or present. Pandora is a fictional place. Inluding fiction into Animal Kingdom is like including a jungle walk into Hollywood Studios. Also, the best part of what Pandora is about is how it looks at night. Yes, I’m sure the visuals will be astounding, but for how long will the guest actually get to see them? It gets dark in Orlando around 7-7:30pm. Usually, Animal Kingdom will close around 8 or 9 pm. That is not much time to get to the new area of the park and enjoy what it has to offer, especially when we are dealing with one of Disney’s largest parks. That’s a lot of walking when you’re on the other side of the park. Again, I think the best option would be to replace the Honey I Shrunk the Kids Movie Set Adventure with Pandora. Perfect ammount of space, can be experienced at late hours and can still be fun for park guests. What is this, the food and whine festival? Everyone’s an expert as to how to run a multi-billion dollar company it seems. Let Disney make the damn thing before you start bashing it. I saw the movie, and it was incredible. That being said, I am NOT Thrilled at the prospect of having Avatar at the Animal Kingdom. I’ve been a DVC member since 1995, have 5 add-ons, including AKL, and I like that area because it is a wonderful escape to an Africanesque environment, exotic and believable, to some extent. Even, ahem, Dinoland, which is like a Carnival, and Chester and Hester’s, which reminds me of the car trips of my childhood, give me a smile, as Disney chose to immortalize that small part of our American Life in their own way. I agree with somebody who said earlier that some of Disney’s Decision-makers are making some bad moves, of late. One of the biggest IMO was the “destruction of the Adventurer’s Club”…now THAT was exotic and fun. Talking masks, mysterious heads in a box and all the wonderful characters that made the place so addicting (In protest to THAT maneuver, I downgraded my deluxe AP to a regular!). If Disney wants to add something interesting that people will love, why not work from the Adventurer’s Club angle, and expand on it, rather than adding this totally unrelated. faddish stuff to our DISNEY PARK? I think we’re moving in the wrong direction, boys…. I’m incredibly disappointed at this news. Avatar was incredibly overrated and is two years old at this point. Animal Kingdom is my favorite park and this just doesn’t seem to “go” with the rest of it. If Disney is doing this as an answer to Harry Potter, it is a weak one at best. What happened to Disney innovating instead of following?! I suppose the good side of this is I can completely avoid that part of the park and the crowds that will go there. As I mentioned in Tom Staggs’ blog post, I’m sure that whatever they end up doing, it will be family friendly. Also I think that this is exactly why Disney has revealed this news so early and is addressing questions, they are still figuring out the details, and hearing constructive criticism is a good way for Disney to figure out how to approach this. I think it’s great. Avatar was about conservation and learning to live WITH our planet and that is what Animal Kingdom is about. Perfect match. I cannot wait to see how they translate this world. For those of you that complain but haven’t seen the movie why not give it a shot and then you can at least have an informed complaint. The movie had it’s issues but the world was beautiful. A Narnia themed land would seem to be a better fit for Disney and Animal Kingdom, it has mythical creatures, is a good story for kids, and “The Chronicles of Narnia” already carries the Disney name, unlike Avatar. Also Narnia would have more staying power, it’s already been around for a long time even before Disney. I am a huge fan of the Disney parks and really like the Avatar movie. I can see how the theme of conservation and environment fit with the Animal Kingdom park. I am excited to see how this turns out when it opening in about 5 years, but I do have some concerns. 1. “Beastly Kingdom” and the original plans for AK were to include mythilogical creatures like dragons and unicorns and stuff. Avatar is a recent made up movie and has it’s own unique creatures, but not mythilogical. 2. Why not go with a franchise that Disney actually owns for another land? Maybe theme it from some of the other Disney/Pixar film/cartoon characters. Avatar is not a Disney related movie just like Star Wars or Indiana Jones, so it could be a good move. 3. Speaking of Star Wars…. why not a whole Star Wars land (not in AK park). They can also do a whole Marvel Comics land or park somewhere, not in the AK park. either way, I am sure it will be killer and I will check it out when the time comes. They kept using the plural word “LANDS” when they were answering questions, so I am sure they are planning to do more than just AK park. Maybe a new park is in the works for Disneyland since they have obtained so much more land in the surrounding area. I’ve always thought of James Cameron as a visionary (look what he’s trying with to do with film speed for the new Avatar movies) – and I’m confident Disney didn’t step into this relationship lightly. Can’t wait to see what two of the most creative forces on the planet can develop for all of us to enjoy. Since AK showcases the planet and conservation now, what a perfect fit. One request – make it more than just a high speed, roller coaster type ride. Can’t wait for more updates from Disney! I think if anyone can make this work Disney can, after all they are the best. So I won’t say anything negative till I see what they do with this. But like others I agree Disney has so many of it’s own resources to pull from, why go to an outside source. The Chronicles of Narnia is Disney, and has so many ways to bring mythical features to life. This Beastly Kingdom idea sounds interesting, and I’d rather have no movie tie-in than a non-Disney one. It takes away from the overall charm of Disney!!! Will AKP be open later than 5p when this new area opens? That would make it worth it to me. Fanastic news! and just what DAK needs to become a full day adventure. Disney do this sort of thing so much better than Universal, though HP world is visually very good it started as a possible Disney project, which obviously fell through. Technically it is not so good, we were stuck on the dark ride for 30 mins upside down with not one word of announcement or assistance. The new Avatar land, you can be sure, will be visually and technically stunning, as only Disney can do. Now, how about enhancing World Showcase with the addition of a new country, picking one at random, how about, er, IRELAND, complete with a scary dark ride, “The Legend of the Banshee” !! Well, I think Avatar fits a lot better into the DIsneyverse than Marvel does. I loved the movie and can’t wait to visit Pandora – BUT – I question the location and think it would be a much better fit at DHS, where it can keep Star Wars, Indiana Jones and Jim Henson’s Muppets company. For the AK, Beastly Kingdom is, in my opinion, still such a wonderful concept with tremendously broad appeal and opportunities for interpretation. Maybe we have to wait for a really blockbuster movie from Disney that stars mythical beasts (sorry, Stitch!) before we might again see action on the idea. Really? Have any of the critics seen the movie?!? It’s all about being one with nature, conservation, doing what’s right…..I think it’s a GREAT fit for Animal Kingdom! As for originality…are there any more original stories? I’m pretty sure Disney isn’t the author of any of the fairy tales, yet who do we think of when we think princesses? Not to mention the abundant presence of all things Star Wars and Indy. Why be so negative? Just enjoy the possibilities! And if there are TWO plots of land available for development there’s still room for a MUCH wanted Beastly Kingdom! I am completely blown away by this announcement! I believe this addition will make AK a competitor with MK as the most visited Disney park. Don’t let the naysayers bring you down, WDI. If you build it, they WILL come! Avatar just isn’t Disney. New Fantasyland is what is Disney. New Fantasyland will be a huge success. This, just so-so. Not terrible but not great. At least Disney has the cash to burn through a big project like this and be fine. I don’t know of a single person that is an Avatar fan. I know people who liked the movie a lot but it was a single event in their life. They it isn’t like they are on-going fans. only at disney will this work… it will be absolutely amazing. NO ONE DOES IT LIKE DISNEY…………….. This is so awesome! I can’t wait to come see it when it’s finished!